Almost a decade after patriarch Fess Parker passed away, the extended Parker family is making his eponymous winery more successful than ever. Today, the third generation is actively involved in running the business. After a successful career playing pioneers Davy Crockett and Daniel Boone on television, Fess Parker embarked on a new frontier in the late 1980s by starting a winery in the Santa Ynez Valley. He’d purchased a ranch along Foxen Canyon Road in 1987 after the Hope Ranch home he’d been remodeling suddenly slid off of the cliffs toward the sea. After considering the options, Parker, who loved the outdoors as much as his characters did, figured the next best step was to start growing grapevines and making wine. A few neighbors were already doing so, and it seemed like a venture that could one day involve the whole family. 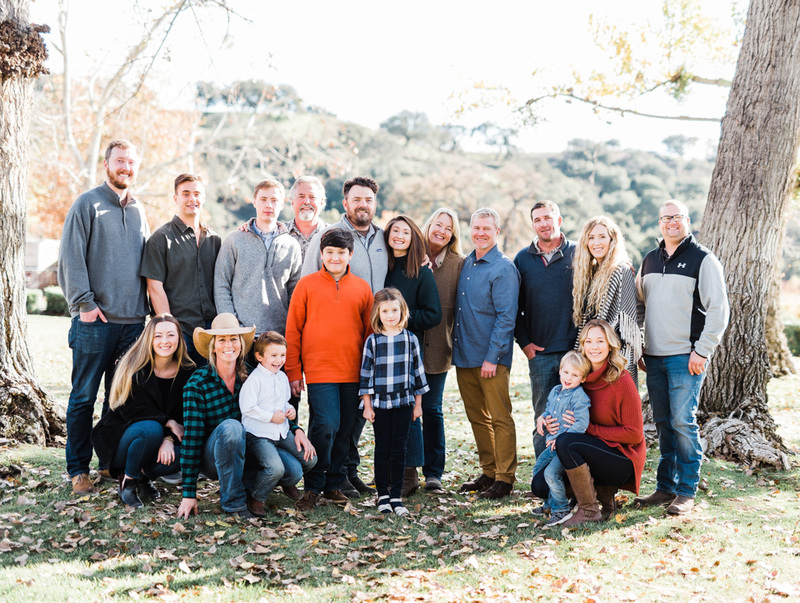 It’s been more than three decades since the Parkers took the leap into wine, which made them the 11th member of the Santa Barbara County Vintners Association. “It was never looked at as a hobby,” Eli Parker told me during a visit to their property a couple of years ago. “It was always a business.” And as the family celebrates the winery’s 30th anniversary in 2019, the winery’s success is eclipsing that celebrity buzz: Many of their customers know the name of Fess Parker, who died in 2010, more for fine wine than Hollywood. The shift also indicates how much the family has evolved over the decades. Today, in addition to the Fess Parker label — which produces mainly pinot noir and chardonnays as well as syrah, viognier, and riesling — there is the Epiphany brand (for Rhône grapes and blends), Fesstivity (sparkling wines), and the Fess Parker Wine Country Inn in Los Olivos, which is also home to The Bear and Star restaurant, which sources produce and meat from the nearby Parker ranch. They are also planning a new waterfront hotel in Santa Barbara. Winemaker Blair Fox — now in his 15th year at Fess Parker Winery — makes about 65,000 cases of wine each year across all of the brands. But only four wines rise above the 5,000-case threshold. That means the many other bottlings, including a number of single-vineyard or clone-specific pinot noir and chardonnays, are boutique affairs of fewer than 1,000 cases, with some barely scratching 100. Compared to the 2,000-plus wines I review from all across the Central Coast each year, these small bottlings compete with the best of the region, regularly getting scored 92+ points, and their appellation blends are among the most reliably delicious wines you can find for the price. Many of the region’s renowned winemakers cut their teeth in the same cellar, as alumni include Joey Tensley, Dave Potter, Larry Schaffer, and Mikael Sigouin. “We call it the university of Fess Parker,” Blair Fox likes to say. They will be celebrating this weekend at World of Pinot Noir and again at the Hilton Santa Barbara Beachfront Resort (formerly known as the Fess Parker DoubleTree) on Friday, March 22, 6-9 p.m. Email SBAFP_SpecialEvents@hilton.com for the $125 tickets. Dinners: There are three special dinners each night ($165-$450), including The Stars of the Central Coast on Saturday night, hosted by yours truly and featuring 12 of my favorite wineries from Thomas Fogarty in the Santa Cruz Mountains down to Samsara in Goleta.